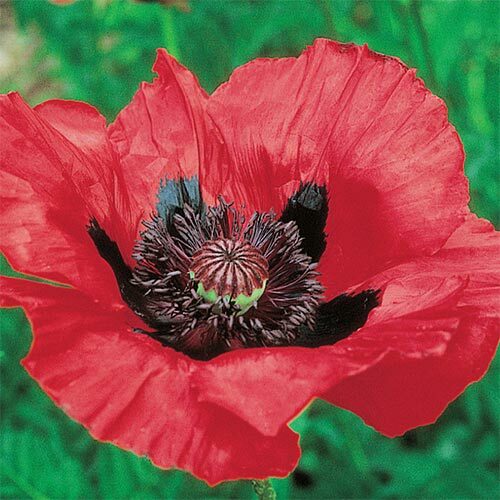 Despite their delicate appearance, poppies are extremely hardy—to a temperature of -35°C. 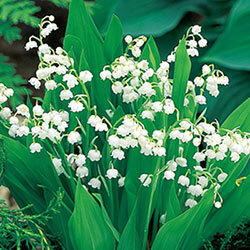 They do well in almost any soil and tolerate dry spells. 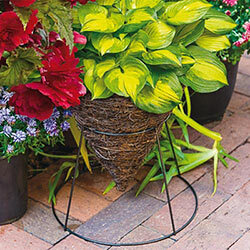 While they love the sun, they are not averse to light shade, so they are a great addition to borders and beds all around your property. They can spread 40-50 cms. 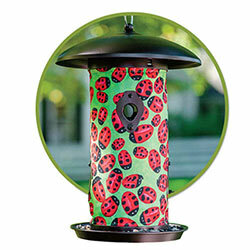 Poppies are not bothered by most pests and are quite deer resistant. 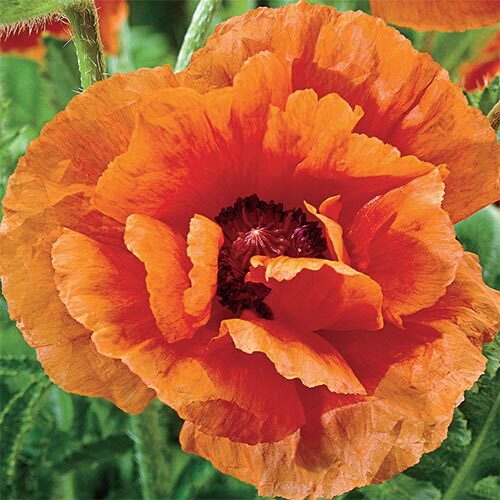 Best of all, poppies are extremely long-lived—plant them this year and you will enjoy their fluttery blooms for many seasons to come! 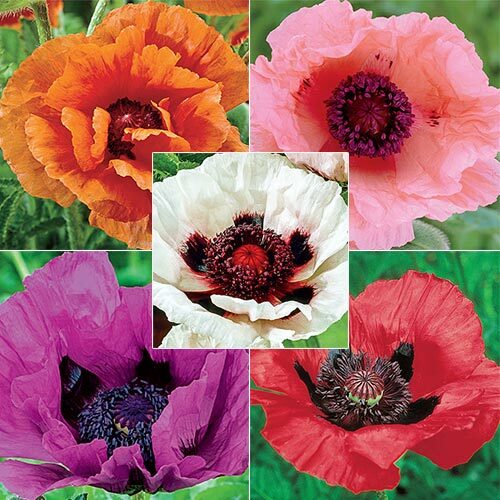 Summer Colour Starts with Poppies! 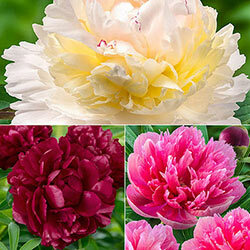 For vivid, eye-popping colour, nothing rivals the flamboyant poppy. 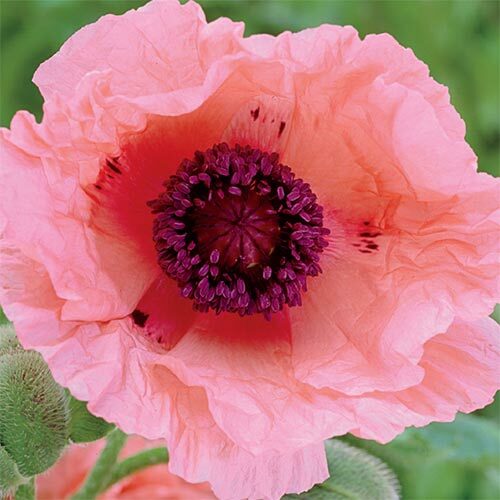 In late spring and early summer, when many bulbs have faded and summer perennials have yet to appear, the large 10–20 cm flowers of the poppy create bright spots of colour framed by attractive foliage. A fantastic show! 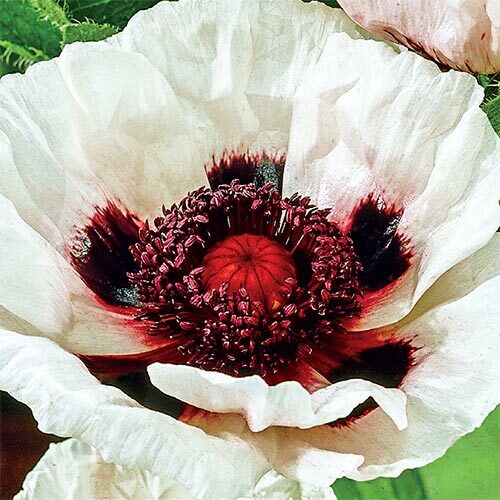 Breck's® horticulturists have brought together five of the most outstanding Hybrid Oriental Poppies available for this spectacular collection. 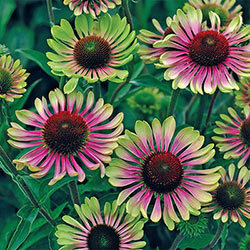 Each is a vibrant perennial gem. 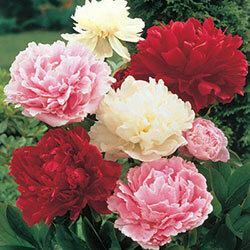 All are guaranteed to grow in your garden! 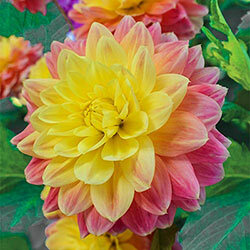 Harvest Moon: Deep tangerine blooms are a beacon for hummingbirds and a beautiful addition to the garden. 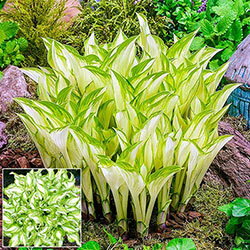 75–85 cm tall. 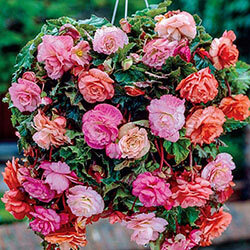 Aglaya: Dreamy, soft salmon-pink petals are lightly ruffled, with a fluffy, dark centre. A rare find! 75–90 cm tall. 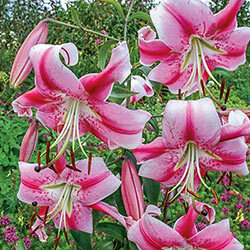 Beauty of Livermere: Exceptional height, colour and bloom size create an eyecatching combination. 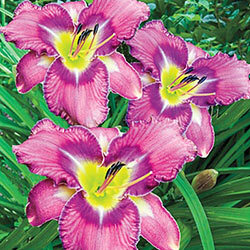 Stunning scarlet petals surround deep purple stamens. 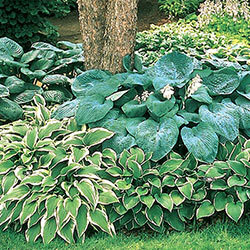 90–100 cm tall. 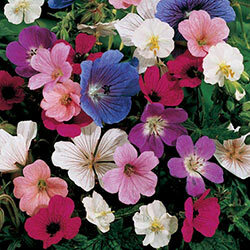 Perry White: Our very special white really pops next to its colourful poppy companions. A touch of burgundy blush at the base adds to its appeal. 80 cm tall. 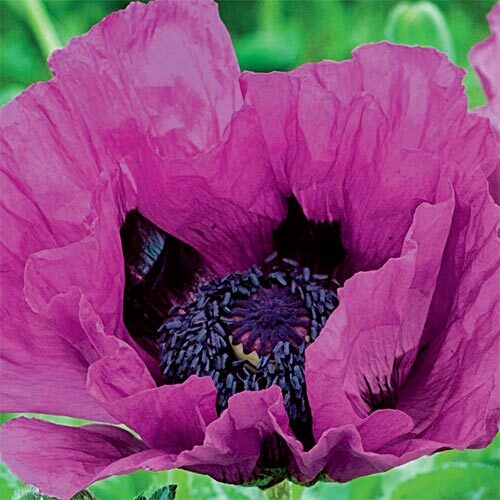 Patty's Plum: An elegant and exquisite poppy, Patty's Plum features double rows of lightly ruffled petals in a deep, velvety purple. 80 cm tall.